Mika is a 25-year veteran of the medical device industry with strong track record both as a venture capitalist and as a senior executive. She has successfully built high growth businesses with disruptive technologies, both in the US and in international markets. Since 2011, Mika has been an Operational Partner at Gilde Healthcare Partners, a trans-Atlantic venture fund exclusively focused on life sciences. 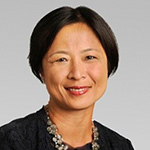 In addition to her role at Gilde, Mika is also Vice President, Commercialization for nVision Medical, a clinical-stage company dedicated to early detection of ovarian cancer. In April 2018, nVision Medical was acquired by Boston Scientific in a deal valued at $275 million.